The world's best-known boys' choir begins its close cooperation with Universal Music with a major Christmas album. With the likes of Rolando Villazn and Aida Garifullina, the Choir Boys have invited two stars of classical music to be their guests. And instrumental support is provided by the band WienerWunderAllerlei and the brass ensemble phil Blech Wien. 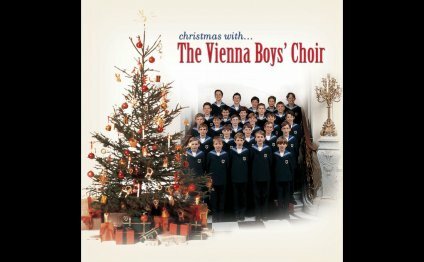 Under the title Merry Christmas from Vienna/Frohe Weihnachten, the Vienna Boys Choir commences its partnership agreed in January with the world's largest music group, Universal. With 18 Christmas songs, the children's choir, representing one of Austria's major cultural exports, embarks on a musical journey through the centuries. Several pieces from the repertoire traditionally sung on Christmas Eve, such as Frhliche Weihnacht berall or Leise rieselt der Schnee by the German pastor Eduard Ebel, form the recording's core. These carols, well-known and cherished throughout the entire German-speaking world, are complemented by musical gems of Austrian origin. But the Vienna Boys Choir wouldn't be the globally successful choir it is if it didn't always look beyond its own cultural horizon. As a result, Il est n le divin enfant or Joy To The World offer a glimpse of French and Anglo-Saxon Christmas traditions. This also applies to the English version of Adolphe Adam's O Holy Night, for which audience favourite Rolando Villazn makes a guest appearance on the new album. After all, cooperation with other musicians comes naturally to the Vienna Boys Choir. It continues to uphold this spirit even when it comes to THE Christmas Carol of all Christmas Carols, winning the support of Russian soprano Aida Garifullina, one of the Vienna State Opera's rising ensemble members, for Stille Nacht. In four additional songs, the choir boys demonstrate that cooperation often goes hand in hand with the expansion of one's own realm. The renowned ensemble phil Blech Wien serves as a sparring partner for the young vocal artists in the two US Christmas classics Rudolph The Red-Nosed Reindeer and Let It Snow. Widely known at least since their performance in the intermission film of the New Year's Concert 2013, the combination of brass instruments with two drum sets contributes its own rhythmic dynamism to the familiar sounds. The same holds true for the unusual line-up of the WienerWunderAllerlei quartet, with an instrumental repertoire ranging from saxophones to toys and with which the Boys Choir interprets Jingle Bells and the melancholy war protest song Happy Christmas (War Is Over) by John Lennon and Yoko Ono. Most of the arrangements on the album were written by the President of the Boys Choir, Gerald Wirth, himself. "Christmas is the time when everyone loves listening to boys' choirs, says the choir's artistic director, feeling confident about the new recording. And also Hannes Eder, Managing Director of Universal Music Austria, is impressed by the new partner: "Some consider them the country's top export, others see them as the world's oldest boy group, and to everyone they are certainly one of the most well-known brands of culture in Austria." As such, Merry Christmas from Vienna/Frohe Weihnachten is only the prelude to a long-term cooperation, in the context of which plans are to implement one joint project every year.